Falcon Heavy launch vehicle can carry up to 53t of payload inside a composite fairing. Image: courtesy of Space Exploration Technologies Corporation. The first stage of Falcon Heavy is powered by 27 Merlin engines. Image: courtesy of Space Exploration Technologies Corporation. Each core includes nine engines in an Octaweb structure at the base of the launch vehicle. Image: courtesy of Space Exploration Technologies Corporation. The Merlin 1D engine generates a thrust of 654kN (147,000lb) at sea level. Image: courtesy of Space Exploration Technologies Corporation. Falcon Heavy launch vehicle is being developed by Space Exploration Technologies (SpaceX), for heavy-lift space launch missions. It is expected to become the world’s most powerful rocket in service, when operational in 2015. The launch vehicle can carry satellites or interplanetary spacecraft weighing more than 53t (117,000lb) to low Earth orbit (LEO) and geosynchronous transfer orbit (GTO), which is more than twice the capacity of the Delta IV Heavy launch vehicle. SpaceX received a contract from Intelsat for launching an Intelsat satellite into GTO onboard the Falcon Heavy rocket in May 2012. The US Air Force Space and Missile Systems Center (SMC) placed a contract in December 2012 for the launch of Deep Space Climate Observatory (DSCOVR) and Space Test Program 2 (STP-2) spacecraft aboard Falcon 9 and Falcon Heavy launch vehicles, respectively. Falcon Heavy is a high-thrust variant of the Falcon 9 launch vehicle that launched the SpaceX Dragon commercial transportation spacecraft. It uses three Falcon 9 first stages made up of 27 Merlin engines. Falcon Heavy has the propellant cross-feed capability, which will allow the side boosters to supply fuel and oxidiser to the centre core. The tanks of the first and the second-stage cores are made of aluminium-lithium alloy, whereas the two-piece payload fairing shell is made of an aluminium honeycomb core with carbon-fibre face sheets. 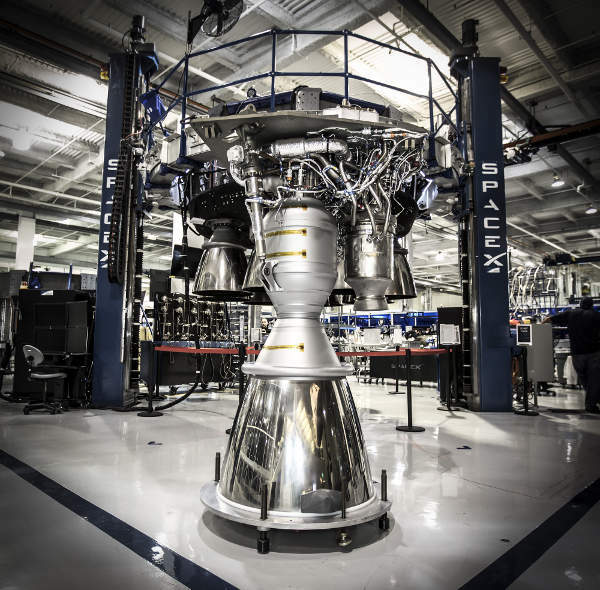 The centre core and side boosters feature landing legs, which are made of carbon fibre with aluminium honeycomb. Four legs attached on the sides of each core will ensure the landing of each core on Earth after take-off. The vehicle can resist higher structural loads over flight loads, offering a 40% structural safety margin versus 25% margin offered by most of its peers. The launch vehicle is 69.2m-long and 11.6m-wide, and has a maximum stage width of 5.2m and lift-off weight of 1,400t. "Falcon Heavy will carry large payloads of up to 53,000kg within a composite fairing designed to protect satellites during delivery." 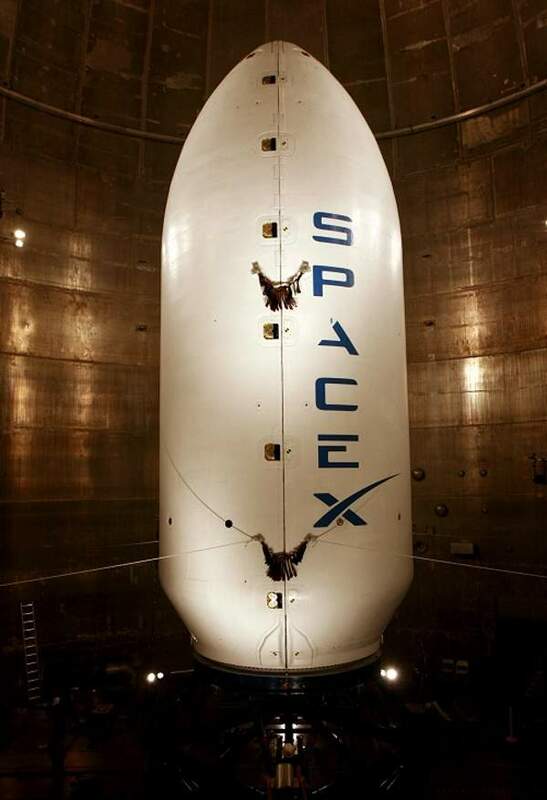 Falcon Heavy will carry large payloads of up to 53,000kg within a composite fairing designed to protect satellites during delivery to orbits. It has a length of 13.1m and width of 5.2m. The pneumatic system, along with the vertical seam, will separate the two half shells of fairing for satellite deployment. The second stage will then deliver the satellite into orbit. "The engine can be restarted a number of times by dual redundant pyrophoric igniters." The Falcon Heavy’s first stage constitutes two side cores or boosters and a centre core. Powered by 27 Merlin engines, the first stage generates a thrust of 17,615kN (3,969,000lbf) at sea level and 20,017kN (4,500,000lbf) in vacuum. The side and centre cores run at full thrust at lift-off. The engines of middle core are throttled down soon after launch and are throttled up, once the side boosters disunite. 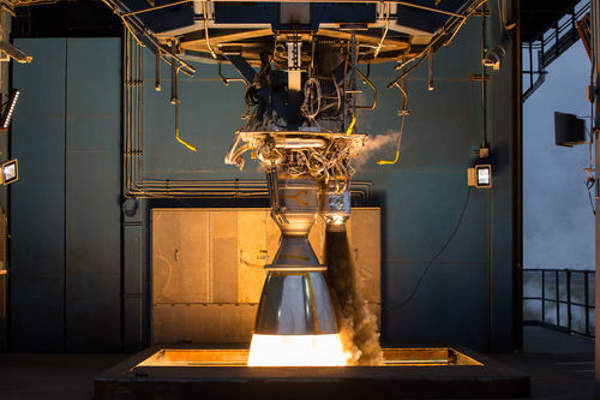 The second stage is powered by a Merlin engine, which is identical to its similitude on Falcon 9. 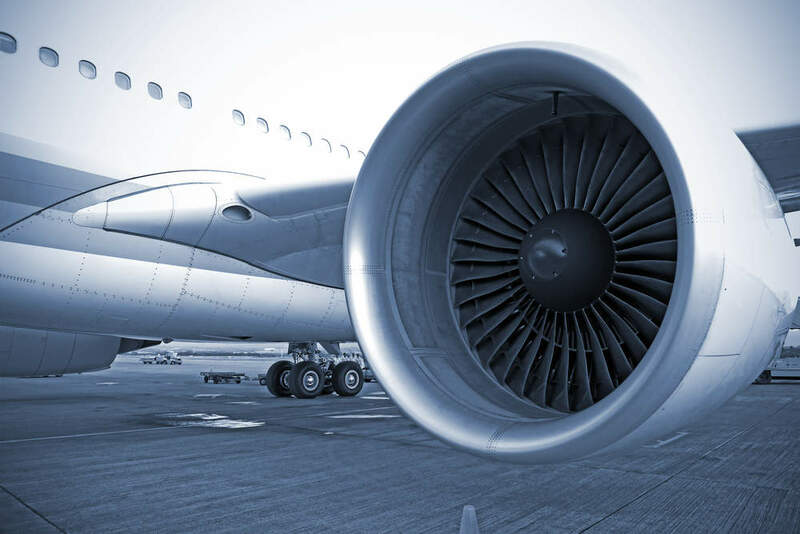 The engine burns for about six minutes offering a thrust of 801kN (180,000lbf) in vacuum. The engine can be restarted a number of times by dual redundant pyrophoric igniters to deliver payloads into a range of orbits including LEO, GTO and geosynchronous orbit (GSO). 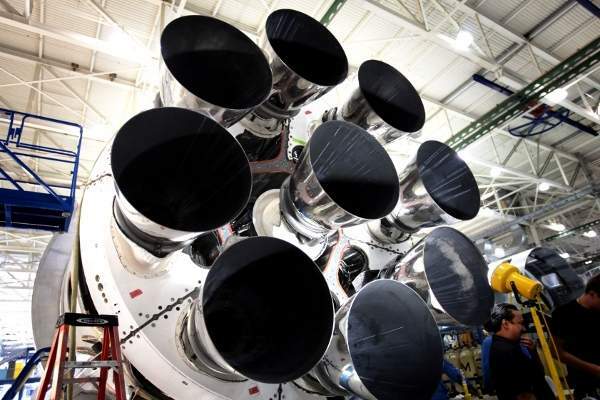 Each core of the Falcon Heavy is attached with the Octaweb structure of the nine Merlin engines. The metallic structure houses eight engines surrounding a centre engine at the bottom of the vehicle. The Merlin 1D engine, produced in-house by SpaceX, is powered by liquid oxygen and rocket-grade kerosene propellant. It develops a thrust of 654kN (147,000lb) at liftoff and 716kN (161,000lb) of thrust in vacuum. Each engine burns 3,600gal of propellant a minute. The engine offers high vacuum-specific impulse, while its high thrust-to-weight ratio of more than 150:1 makes the Merlin 1D the most efficient booster engine.